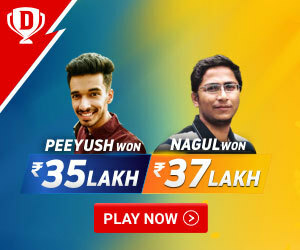 Sanju Samson become the first player to score hundred in IPL 2019 and next two days were not that good for bowlers as in next two days Andre Russell (69), Prithvi Shaw (99), KL Rahul (70*) played a fabulous inning. 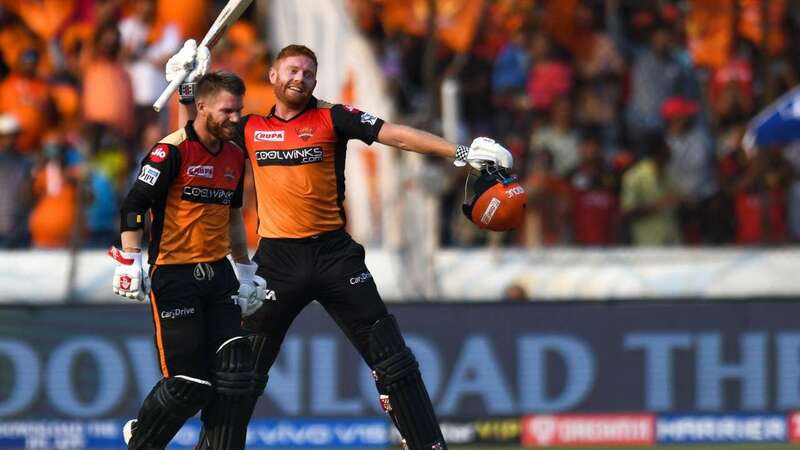 Then on 31st March Sunrisers opener Jonny Bairstow (115) & David Warner (100) added their 3rd 100 run partnership in the third game and also become the second pair in IPL and fourth overall as two players from the same side scored hundred in T20. Gloucestershire was playing under the captaincy of Kane Williamson. Kevin O’Brien & Hamish Marshall open the inning for Gloucestershire. Kevin O’Brien played fabulous knock against England in the World Cup. Both Kevin & Hamish were in attacking mode. 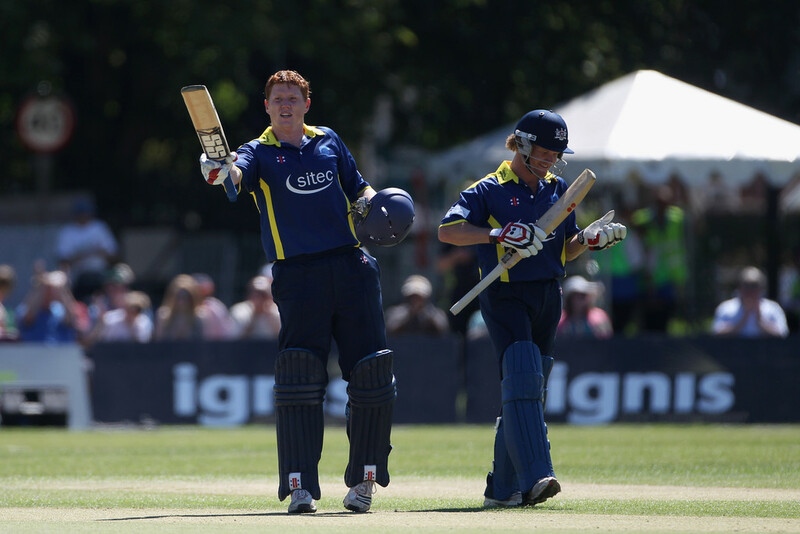 Kevin O’Brien being dropped on 14 & 33 when he scored his fifty in 23 balls and then he scored his century in just 44 balls with 11 sixes and 7 fours. Kevin & Marshall added 192 then Marshall scored his hundred in 53 balls. This is the first time that two batsmen from the same side scored hundred in T20. Gloucestershire scored 254 for 3 and then they restrict Middlesex for 149. Both players were in good form in this season also Bangalore were playing in their own backyard. Bangalore lost Chris Gayle in 4th over. AB De Villiers looking in good touch as he scored his half-century in 25 balls but at the start of the inning, Virat scored run a ball as he scored 52 in 41 balls where on the other side ABD scored his hundred in just 43 balls. 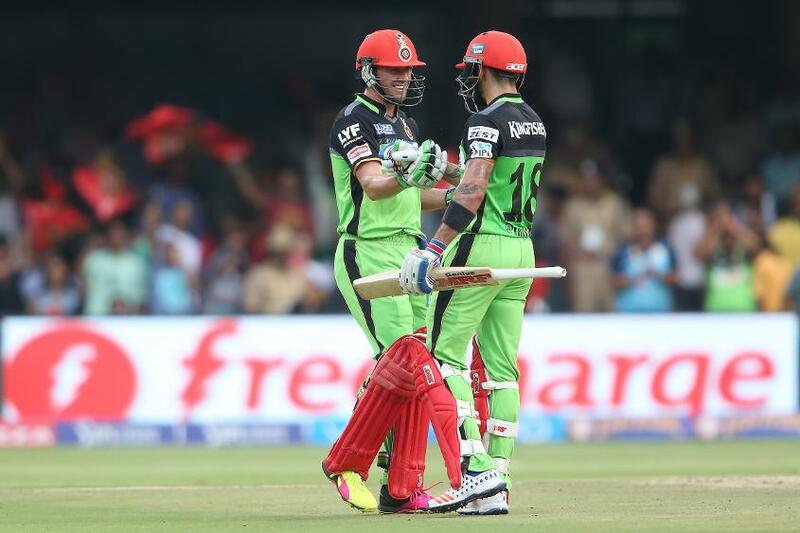 At the end of the 17th over Bangalore were 173 for 1, ABD on 112 & Virat on 52 but after that, this pair scored 75 runs in next 3 overs and Virat scored his third IPL century of the season in just 53 balls. Virat & ABD added 229 runs for a 2nd wicket. Virat got out for 109(55) where ABD remained unbeaten on 129(52). This is the only 2nd time in T20 as two players from the same side scored hundred. While chasing 249, Gujrat Lions all-out for just 104. Rangpur Riders lost Chris Gayle early in 2nd over but after that Alex Hales & Rossouw were in the crease. Hales was in good touch from start Rangpur Riders were 69 for 1 in 6 overs out which 61 scored by Hales only. He continues his attacking mood and Hales scored his century in just 48 balls with 11 fours & 5 sixes. After Hales got out for 100 then Rossouw takes a charge and he also scored his hundred in 50 balls. Rangpur Riders scored 239 for 4 and then restrict Chittagong for 167. After a gap of one year David Warner back into IPL he started really well and his opening partner Jonny Bairstow who was playing his first season of IPL. Warner started really well but after that Bairstow take a charge and he played some amazing shots against Umesh Yadav, Chahal, Siraj. He scored his first IPL century in 52 balls. Both added 185 this is the third-century partnership for Warner & Bairstow in three games. In last over Warner scored his century and Warner-Bairstow become 4th pair to score a century in T20 & 2nd in IPL after Virat & ABD. Sunrisers score 231 & then they restrict Royal Challengers for 113.